There are boxes of yarn lurking in the hallway, and more peeking at me from outside the office door. Usually confined to the storage cupboard, the extra quantities mean they've spilt out and had to take up residence where they are. 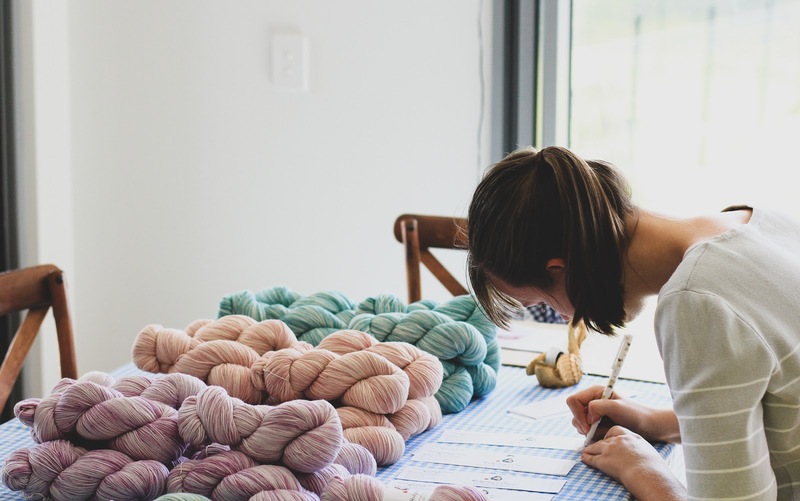 This is Knitfest Maleny preparation, and it's getting more exciting as we edge closer to the day. There is yarn to count, stitch markers to make, buttons to package and stall arrangements to check. While I've never done an event like this before, I'm very familiar with what the final weeks of preparing for a market look like. List - so many lists! - and lots of counting the remaining days and thinking there aren't many left. 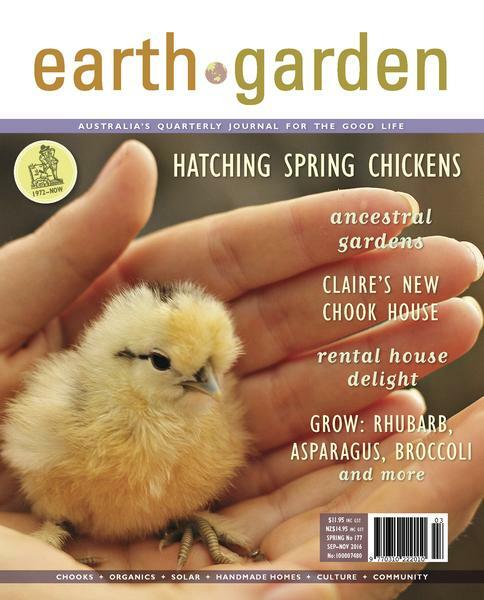 On one of these lists was written Label Yarn - something I don't usually have to do. Yarn always comes labelled, but this particular yarn is very special. It's an exciting collaboration between myself and Morgan of Knitcraft & Knittery, who's lovely hand dyed yarns I already stock in my shop. 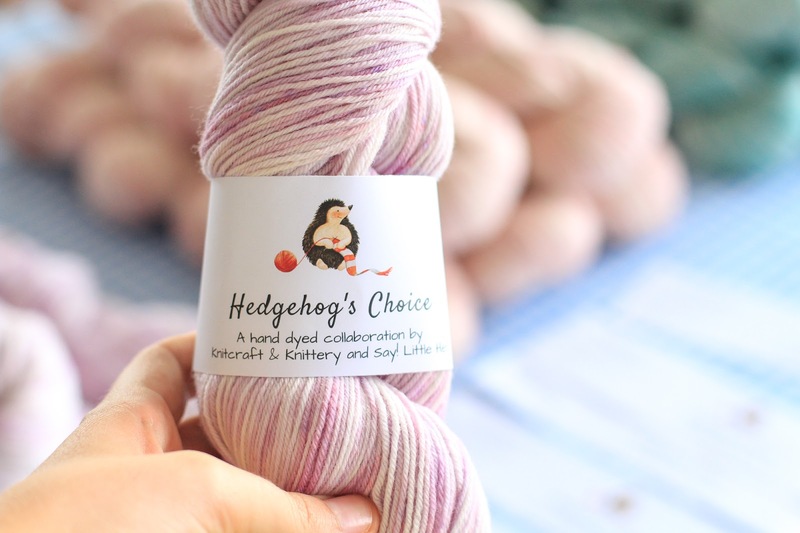 This yarn has been called Hedgehog's Choice and comprises three beautiful colourways that have been created exclusively for Say! Little Hen. There is Periwinkle Pie, Tea Rose and Sea Foam. 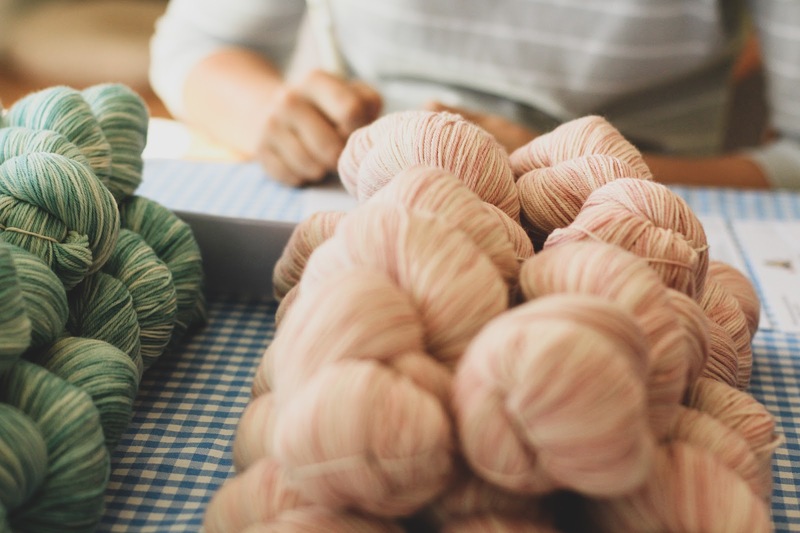 The lovely thing about these yarns is that they are hand dyed in Tasmania on sustainably grown, New Merino certified Australian wool. It was so much fun to work with Morgan on these colours, and I can hardly wait to share them with you. Because these yarns are limited edition, I'm going to be releasing them at Knitfest Maleny first. Any leftover will then be available to purchase online afterwards. 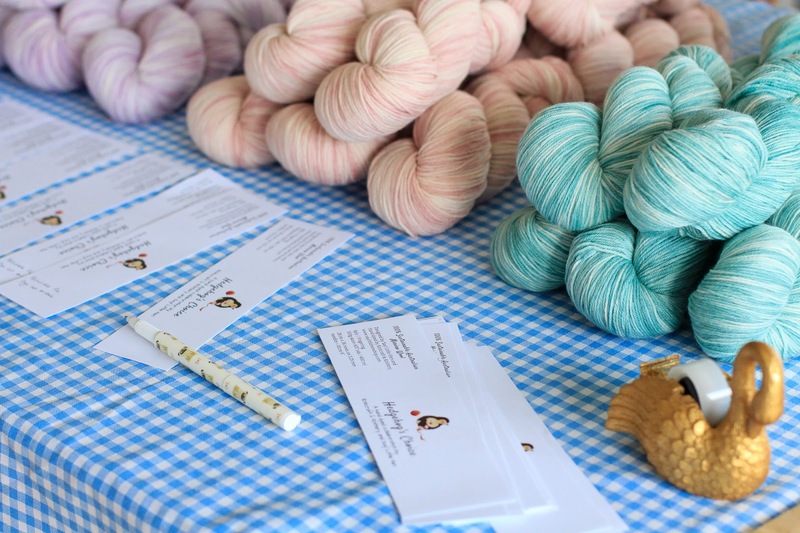 Are you coming to Knitfest in Maleny? It's going to be heaps of fun! If you are, make sure you come and say hello! You can find all my stall info on this page here, and make sure you have a look at the Program Guide on the Knitfest website (make sure you're on a desk/laptop as the guide doesn't work on mobile). I'm going to try and bring as much of the shop as I can with me. I'm looking forward to packing up my hand knits into my suitcase, one of them hopefully my freshly finished Carbeth Cardigan (it's nearly done! ), and heading off for a yarn-filled road trip. There are friends to catch up with, friends to meet in person for the first time, and perhaps new ones to be made. And a whole weekend of nothing but yarn! PS. 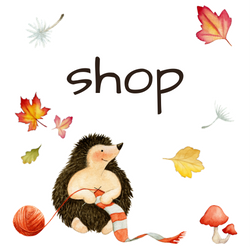 If you're not coming to Knitfest, please be aware that shipping of online orders will stop in approximately 3 weeks. 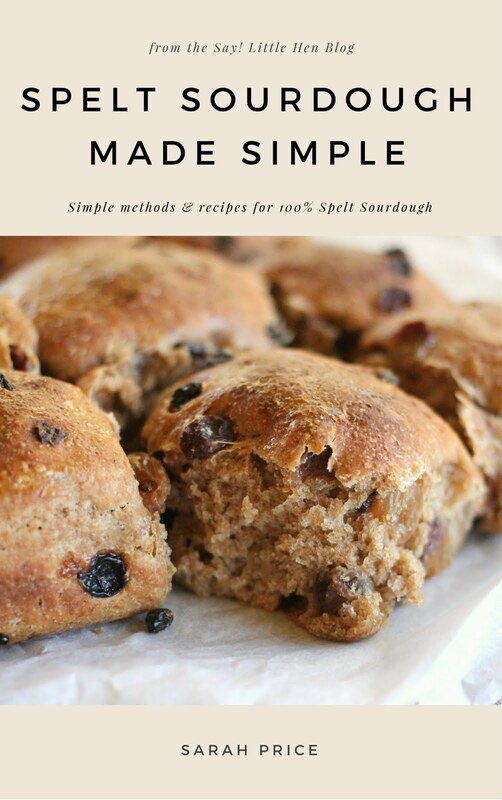 Whilst the shop will remain open, and you're welcome to purchase, I'll be posting the last of the orders on June 15th. 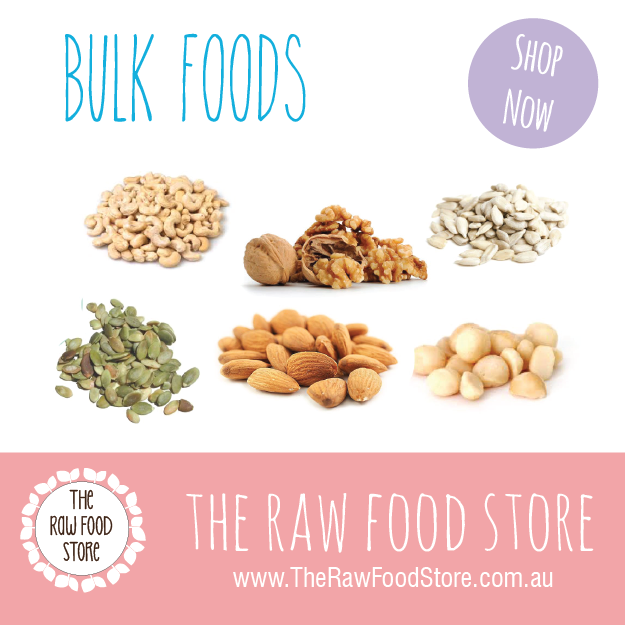 Shipping will recommence from July 6th. 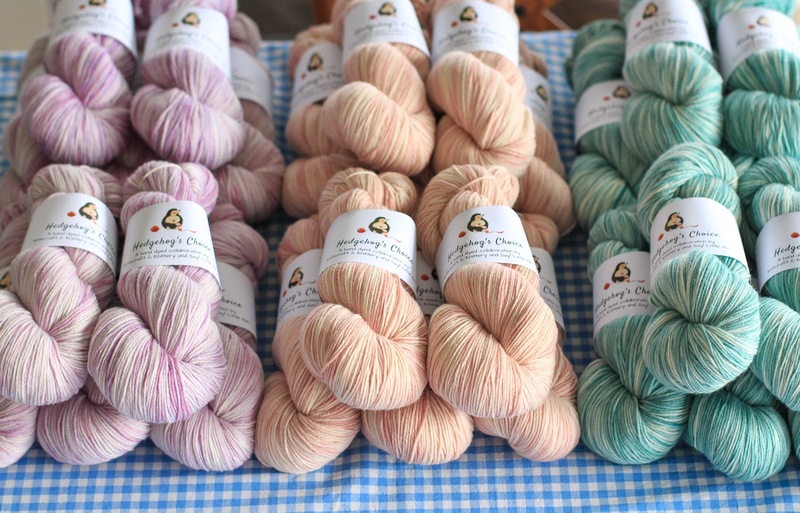 Such delicious colours in your Hedgehog yarn. I won't be coming but it sounds like you have a wonderful time planned! 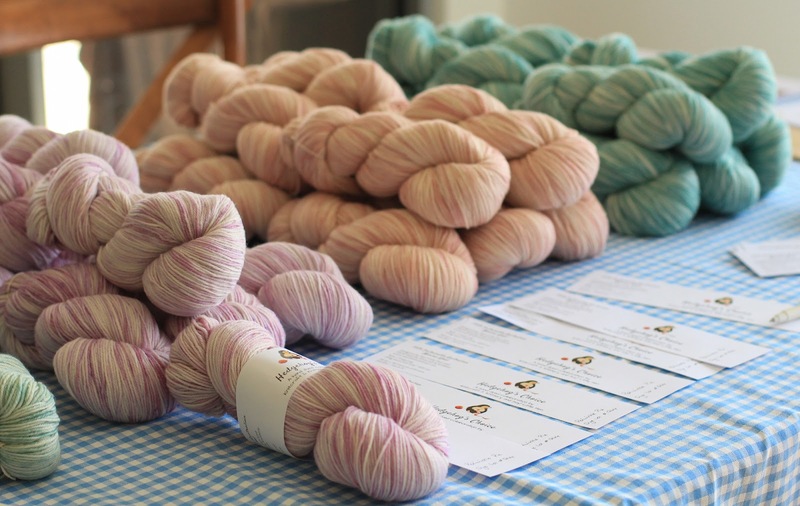 Labelling yarn sounds like a fun job, the colour combinations are beautiful and gentle.